There are sometimes books that come into your life and strike such a chord with you that they leave you somewhat stunned. Those books are wonderful. Then there are books that strike a place in your psyche which resonate with such force within you that they can leave you breathless like someone has just punched you hard in the heart. Midwinter, Fiona Melrose’s debut novel, was a book that did the latter for me and completely shocked me with how much it affected me. As Midwinter opens young lad Vale is out in the middle of the water trying to save his friend, Tom’s, life when they take a boat out after one too many drinks finding themselves in danger. We are thrown straight in and initially think that this could be the heart of this novel. Wrong. We soon discover, and this isn’t really much of a spoiler, that Vale had gone out to get drunk after an altercation with his father (Landyn Midwinter) about his mother, who has been dead for some years. Melrose pretty much throws us right into the centre of a fractured family just as they start to spiral out of control all the more. I liked this, no messing about. I think we have all endured those novels which spend at least two hundred pages slowly but safely taking us from the smallest chip to the tiniest hairline fracture and beyond. Yawn. No the case here. What Melrose does though is far more powerful and also more cunning. Cunning in a good way. We think we know the issues, we then learn that actually much more is going on which is slowly revealed. Why did Cecelia die? Why were they in South Africa when it happened? Why did they then head back to this desolate part of Suffolk after? And why does Landyn believe that Cecelia has come back as a wild animal watching over them? I knew I was babbling. The lad said nothing, only fiddled with the bed sheet. His colour wasn’t right yet and we’d be needing to see the doctors again even after he was released. And he carried the mark of my anger, his eye still swollen. He carried on rolling the hem of his sheet into a little peak between his thumb and forefinger. ‘What’s that?’ I had to lean forward to hear him. Whilst there are these questions going on, really where the story lies is in the void that grief can build between two people. The lonely desolate space where shock leads to silence, where things can become misunderstood, messy and where a chasm needs to be covered up and potentially avoided. This is where this book really hit home for me. Without going into too much detail, when I was ten and my mother twenty six my stepfather accidentally killed himself, I found him after a shopping trip with my mum. We didn’t properly talk about it for almost fifteen years in which time we both created our own version of events and the story of the others filling in the blanks often wrongly, mine leading to rebellion. Very, very, very like Vale’s, though not with a boat as we all know I hate boats – sorry had to lighten it a bit. What blew my mind somewhat was seeing my feelings and that chasm of silence between two people written so like my own experience but from someone else, someone who I have never met but will definitely give a hug if I do. Fiona Melrose is an incredible writer, not just because she writes about that empty space between two people who don’t know how to communicate or simply can’t, this space which she throws her readers into. She also writes incredibly about atmosphere, Suffolk broods as the Midwinter house hold does, nature can be friend or foe as we see through the novel when she equates natural elements or moments with what is going on in the book, and not just in the Suffolk countryside but the South African too. The trees out there always felt nervous, I felt that from the day we arrived. Later realised they were always anticipating rain, bristling for it even, and after one of those lovely downpours you could just about feel the roots ease out as they relaxed under your feet. For a week or so and then they’d be back tilted on the edge of their seat, an eye on the sky and another on the furthest horizon. She also writes incredibly about grief. Not just how people cope with it, or don’t, at the time or how they deal with it as a long term mental battle, like seeing foxes. But also how grief can be a thing which you cling to, in the case of Vale, and use all the emotions around it (anger mainly) to push yourself further. Or how it can be something which will nag at you one moment, leave you completely alone then next and then come at you full throttle when you least expect it. Don’t I still think how things might have been different for his mother? Some nights I dream things turned out well for us. Then I wake full round and as I fall back into my old sad skin, I remember myself again and know it not to be true. This is a cruel trick the mind plays. Like a sly old ferret those hopeful thoughts burrow in there. And then, when you’re getting all cosy, they turn on you and rip you right open with their sweaty little teeth until you feel your guts are spilling out all over again. And she doesn’t always need a paragraph or two to do it in, often in this novel a single sentence can contain all that needs to be said. Sometimes a blessing is just shy of a curse. After the effect that Midwinter had on me personally, and rather unexpectedly, it is hard for me not to just go on and on and on about how wonderful. But then part of the reason why I hope you read this blog and these thoughts is the personal interaction I have with this book, the joys of bloggers and vloggers eh? I will say I had a slight quibble as Vale’s storyline develops and at one point became a little melodramatic for me, but we all need a melodrama or two in our fiction really don’t we? 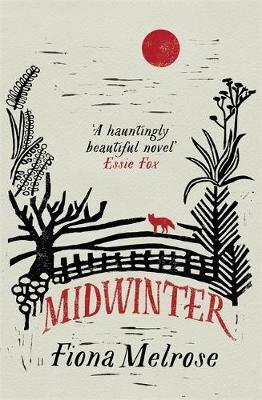 I think what astounds me most is that Midwinter is Fiona Melrose’s debut because this to me felt like a novel which is three or four down an author’s career. Don’t get me wrong I bloody love a debut, always have, and like all the best debuts Midwinter is brimming and jam packed with themes, ideas, fantastic set pieces and characters. Yet there is a control and a restraint, which makes the book all the more sharp and affecting to the reader. I cannot recommend you read this novel enough. I am thrilled the Baileys Women’s Prize for Fiction made me head to Midwinter, though I have been meaning to read it for a while. If you haven’t read Midwinter you can get it here. If you have read it then I would love your thoughts and experiences of it. I would also love to know about books that have shocked and surprised you as they made you see moments of your life on the page. I have always been a little dubious about books that are sequels, prequels or tales that combine a great classic in them. I have tried a few spin offs in my time and firstly there is the question of if they can live up to the classic itself and secondly can they provide anything original to the world we most likely already know, this has also made me wonder how limiting it can be or is it just an author regurgitating another authors ideas? So when Gavin chose ‘Tom-All-Alone’s’, or ‘The Solitary House’ as it is known in North America, for the latest Readers Book Club, I have to admit I went into it with some trepidation, especially as I had not read Dickens’ ‘Bleak House’ which this book runs alongside. As ‘Tom-All-Alone’s’ opens in 1850’s London we meet Charles Maddox, a former policeman and now private investigator in the days when ‘the Detective’ is a role that is just forming. Maddox has just been given a second case to track down the writer of some threatening letters by the eminent and feared lawyer Edward Tulkinghorn, a new case being just what Maddox needs as the only other case he has got, finding a long lost girl in London (rather like finding a needle in a haystack) is dragging, even if the new case seems a small one. However as Maddox investigates people start to die and he realises that there is much more than meets the eye of these letters and indeed the man who hired him to solve the riddle. The premise of the book is an intriguing one. I have to admit though that I was thrown from the start by the narration of the novel initially. The voice we get is a modern one and one that tells us the tale in an all-seeing and all knowing way. If a character misses something, the narrator points it out and the fact the character misses it, there a quips and factual asides and whilst there was no denying it was readable it initially jarred with me a bit. Who was this narrator, why were they so all knowing, was I being patronised, was I being played with? I couldn’t work it out, which initially annoyed me but then intrigued me. Then suddenly everything changed again and we were being told a completely different story from a completely different perspective in the form of a young woman named Hester. Stranger and stranger as I read on and found Dickens himself appearing in the book I found myself thinking ‘blimey, Ms Shepherd likes to take a risk with her readers’. I think that excerpt shows both sides pro and con of the prose style whilst you are getting used to it. There is the all knowing, the factual references and yet there is a sense of mystery and also the atmosphere of the city at the time. This is a Marmite technique though as people will either love it or hate it. I have to admit that if ‘Tom-All-Alone’s’ had not been a book that I was reading for the Readers Book Club then I think I probably would have stopped reading at this point as I was feeling so thrown by it all even though I was loving the world Lynn Shepherd was creating. However, as with any book group read I encounter no matter how tricky it is I do read on (yes Elizabeth Gaskell and that ‘Mary Barton’ I am thinking of you) and in this particular case I am really glad I did because I would have missed out. As the book went on I stopped noticing the style and found myself completely immersed in the era and the twists and turns in the tale. Lynn Shepherd clearly loves the Victorian era and that comes across in every single page and becomes contagious. It was some of the observations of London at the time, and the aside stories of prostitutes, unwanted babies and what happened to them, grisly murders etc, and little set pieces off the central story that really hooked me in. I also thought the fact that she weaves several mysteries, as there are really four at the heart of this book, so cleverly and so confusingly (in a good way) really added to its charms. So what about its relation to ‘Bleak House’? Well, whilst I have not read the book I decided – in the name of research and so we could have a more rounded discussion with Lynn for the podcast, I would watch the BBC adaptation (which The Beard oddly adored) so I could compare. I was amazed how little of the whole story she used though Tulkinghorn and an important thing that happens to him in ‘Bleak House’ does very much become part of the mysteries here. Speaking to Lynn, which know not every reader will be lucky enough to do, did make sense of the narration in the book though, that is how Dickens’ does it in ‘Bleak House’ and makes me think that while it stands alone, as Gavin’s review will tell you as he had not read ‘Bleak House’, I think having read the classic might help you get into the book better. Overall I enjoyed ‘Tom-All-Alone’s’ yet like another Victorian based book I read recently I would have liked it to have been longer as so much is going on, and I am not saying that because ‘Bleak House’ is a monster book. I was happy with what I got out of the book yet I would have liked more of Charles Maddox’s domestic story, how he moves in with his uncle (another crime mastermind who reminded me of an elderly Holmes, also called Charles Maddox) who is in the start of what I hazarded was dementia and the relationship between Maddox and Molly. I would also have liked longer for the threads to build up and a slightly more drawn out ending which all comes so quickly, the book suddenly revs up about two thirds in and that bit is addictive. This is all, though I am worrying it doesn’t sound it, a compliment to Lynn Shepherd’s writing… I wanted more of it over a longer tale. I loved the atmosphere and her characters, so I am hoping a Maddox standalone of any literary nod is on the cards, though I will be interested to see what he does with the Shelley’s next too. Oh and biggest compliment of all – I now want to read, and have indeed bought, ‘Bleak House’ all for myself. I never thought I would find myself saying that. You can see Gavin’s review here and listen to us talking to Lynn here. Who else had read ‘Tom-All-Alone’s’ and what did you think? If you read it without reading (or watching, cough) ‘Bleak House’ how did you find it? What about if you had read (mumbles again, or watched) ‘Bleak House’ what was your reaction? Did anyone wonder how Dickens might have reacted to Shepherd’s twist on Tulkinghorn’s character at the end? 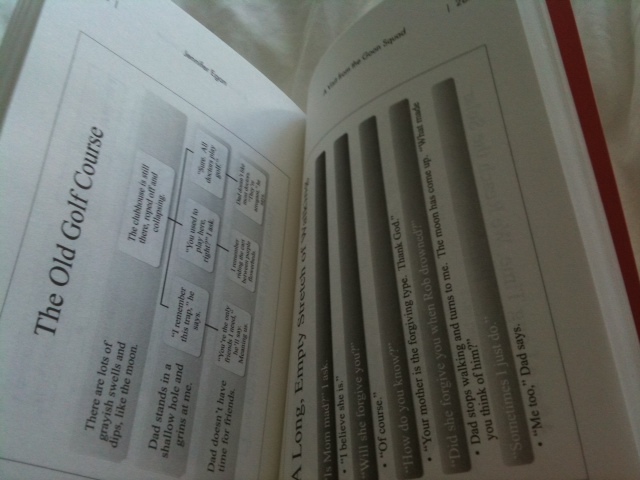 Are you planning on reading this at any point? 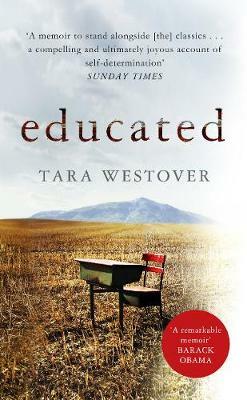 I would highly recommend this as a book group choice as it would be sure to create some lively discussion. All thoughts welcomed as always. There are some books that seem to follow me. I haven’t lost the plot honestly; we’ve all been here surely? You are taking a daily quick nip into a bookstore and a book you haven’t heard of until then catches your eye, you kind of want to read it but you aren’t sure (maybe it’s the subject matter, maybe it just isn’t what you want right there and then) so you leave it for the time being. This then becomes the book you start to see the moment you walk through any bookstore after. ‘The Auschwitz Violin’ By Maria Angels Anglada was such a book; it kept enticing me with its cover and title, yet as I knew it would be about Auschwitz I worried it wouldn’t be for me. So when I then saw it in the library it seemed like fate and so I thought ‘what’s better than to borrow it’ and so I did. The novel/novella opens in 1991 when a musician sees a woman playing the most perfect pitched violin. Yet when he meets her and asks her how she came to own such an exquisite instrument he soon learns that the history of this violin in a much darker one hence the title of this book being ‘The Auschwitz Violin’ and it is in that very setting that we learn how Daniel, an imprisoned Jew, came to make the violin in such circumstances and what happened after. You know when you start a book with ‘Auschwitz’ in the title that this is not going to be a comfortable read by its very nature, in fact a publisher or author putting it in the title is doing something quite risky as many people might veer away from it for that reason. It was this that did put me off reading ‘The Auschwitz Violin’ initially yet I do think we need to remember the atrocities of the holocaust and I am a firm believer that reading shouldn’t always be comfortable and so I opened the first page. From the very opening of the book ‘The Auschwitz Violin’ was rather different to other books with its themes I have read before, well fictional accounts anyway. As, apart from the last couple, each chapter opens with an original document from or about the camps at Auschwitz. Obviously you know anyone writing about this subject is going to have done their research, it isn’t so common for them to then leave the documents in the actual finished work itself. In this case it both works really well and also lets the book down to a degree. It works in a powerful way as it adds to the impact of what happened to the people in these concentration camps, some of the case notes included described experiments that I had never heard of and left me feeling shocked that such things happened. There was impact from these instantly. Yet because the documents come before the narrative and describe what is about to happen to people surrounding Daniel, or indeed to Daniel himself, when they do there is less of an impact, there’s almost too much pre-showing before the telling. There is also a slight sense that the story has been created around the fact, something which obviously happens a lot in fiction and yet normally you can’t spot the way its been worked in – here I could. You would think these documents make you fear for Daniel and the other prisoners and yet they don’t, they almost work like spoilers instead. I could see what the author was doing, but it wasn’t quite working. It could be this that left me with a feeling that I was never really with Daniel and always somewhat distanced from all the events that unfolded. I don’t think it was the narrative or the writing of Angels Anglada as the prose was sparse and minimal but not to the point I shouldn’t have been able to enter the world or so sparse there was no atmophere because there was. Despite all the ingredients something wasn’t quite clicking, it almost seemed too factual and I think its length added to the feeling that it was a report of some kind in its own way rather than a fully fledged story and for me the story factor was lacking here. ‘The Auschwitz Violin’ seemed to want to highlight something awful and yet couldn’t fully take me thereand I think in part its the style but also the length. I came way thinking it was an interesting and well written book, but I wasn’t as moved as I could have been yet I was glad I read it. This is a very similar feeling I had to the book ‘The Report’ by Jessica Francis Kane which I read last year about an accident during the Blitz, though something clicked at the end and I was sold, it might be the fact I had more pages to lose myself in it all. I thought it was brilliantly written (and well translated), yet I was never quite in there and lost in the atmosphere one hundred percent. Has anyone else had this feeling with a book about something tragic before, because it worries me slightly? I have come away feeling a little heartless because I was horrified and yet with the distance I wasn’t thoroughly moved and I should have been. 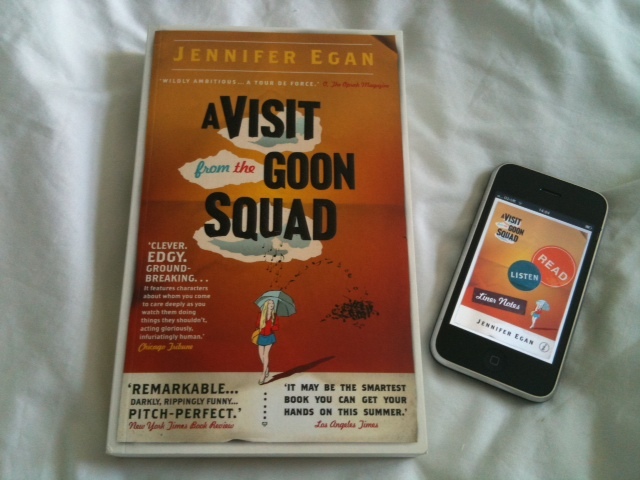 It’s a book I now want all of you to read to see how you feel about it (and apparently, and I can’t quite believe I am about to support the ‘K’ word, it’s only £1.99 on the Kindle at the moment so you could all try it – or pop to your library/independent bookshop and see if I am just a heartless horror) and we can all discuss it. I am wondering also if after tales of cancer and now the holocaust its time for a good old Agatha Christie whodunnit? It’s interesting to me that the last time I made a concerted effort to read The Orange Long/Short List brought about my first experience of Samantha Hunt’s writing with ‘The Invention of Everything Else’, and now as I try and read all the Oranges I can again I have had the pleasure of Samantha’s writing once more with ‘The Seas’. What I have found doubly interesting is that I have enjoyed this book more out of the two (my mother has read both and thinks the opposite way round, though like me she liked them both a lot) and yet ‘The Seas’ was Samantha Hunt’s debut novel it just didn’t get picked up and published in the UK until last year. ‘The Seas’ is the tale of a young girl as she grows to young woman, with the ongoing possibility of being a mermaid if what her father told her as a young girl is true, in a remote seaside town nobody wants to live in, most have become alcoholics or suicidal, and yet a place that no one seems to be able to escape from. Except that her father did escape in his own way when one day he took a walk straight into the sea and never came back. Most would assume that he was dead yet our narrator, and occasionally her mother, sit and wait on the beach for his return in hope. Living mainly in her head, we follow her obsession with both her father, and the fact she believes she sees him and occasionally finds wet footprints around the house, and her obsession with an older man who is not long back from fighting in Iraq and who has Post Traumatic Stress disorder. Looking at the book like that you could think that the scope of the book is too big, especially as the novel is a slim one, and somewhat surreal. Yet Samantha Hunt has created a rather magical, if a little melancholic, tale about loss and coming to terms with your own situation especially when it is not one of your choosing. As you read along you begin to realise that you aren’t been given the straight forward story from the narrator, for example when people start to melt before her eyes, and so reality and her imagination inform your readers view of her world and just how she is coping with it, which doesn’t always make sense initially but soon rings very true. There is also a real fluidity to her voice, and this is of course through the prose, which adds to the books watery and ethereal feel. I’m not sure that makes sense but if you read the book it might… maybe? What I found rather surprising with this novel and what added incredible element was the story of Jude, the man our narrator obsesses over. Amongst all the named chapters it is ‘War Among The Mayflies’ which is Jude’s first hand telling of his time in Iraq and another mini short story of sorts within a story. I found this incredibly shocking and moving all in one. It seemed a very debut novel thing to do and cram a book with all an author’s ideas and topics, yet it did feel very much part of the story and added a further dimension and poignancy to a stunningly written book. If reading the Orange Longlist over the next few weeks is going to be as interesting as this then its not going to be quite the struggle I thought it might. I’m trying very hard not to compare them all to ‘Mr Chartwell’ though (funny how two Hunt’s debut novels have been so good) I have to admit. Has anyone else read ‘The Seas’ and if so what did you think? If not, are you tempted?